Charm & Authenticity for this Gascon Farmhouse. Charm & Authenticity for this Gascon Farmhouse, with 3 Bedrooms and a pool. Close to the lively market town of Mauvezin, and within easy reach of Toulouse, this old stone farmhouse is situated along a quiet lane, down a long private avenue, in a tranquil rural location. The driveway leads us to the property which offers pleasant views over the surrounding countryside, as far as the Pyrenees, with the property nestled in a pleasant rural arbour, far from the road. The owner proudly shows me a photograph displayed on the mantelpiece of the ruin they bought at the start of their French adventures, and went on to so lovingly restore over time. Having carefully preserved the character of the property it is hard to imagine any correlation between the photograph and the property into which we are so warmly welcomed today. 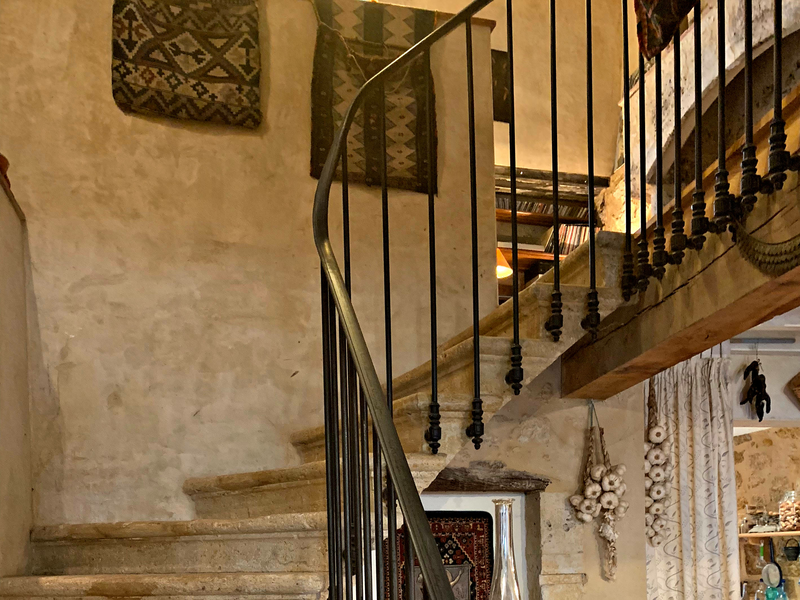 The main door opens onto a small covered porch and then into a long Gascon corridor, evenly distributing all the main rooms in the house, and offering both space and ease with principally ground-floor accommodation. The rooms are all presented in excellent condition and each one has been tastefully restored. As the hallway commences, there are two rooms, one to each side. These rooms could potentially both be used as bedrooms, or alternatively one might be used as a second sitting-room as it has retained an open fireplace which houses a wood-burning stove. Positioned in a centrally in the hallway, there is a separate bathroom (with shower, sink and WC) and a master bedroom which benefits from a private en-suite shower room. At the end of the hallway there is a fully fitted kitchen, with a door to an adjacent south-facing terrace, and views to the mountains. Up until this point of the visit, the distribution of the rooms along the central Gascon hallway is typical of so many properties in the area. The surprise and joy of this home, is the vast reception room with full ceiling height at the end of the hallway, its generous proportions divided into both a reception room (sitting-area) and dining-area, with impressive original oak beams throughout. A set of double doors opens out onto the terrace for summer dining, while a wood-burning stove enhances that cosy winter feel. From this main reception room there is a wooden staircase, which leads to an upper-floor bedroom. Outside is a pleasant sitting area beneath an array of trailing plants, the tables and chairs facing outwards towards the south-facing view. The pool area is raised, walled and separate from the main house, providing welcome security for younger children. From the many family photographs in the sitting room, with summer pictures taken of a host of grandchildren enjoying the property over the years, it is easy to see how much pleasure this lovely home in France has brought the owners over the years. Here at Bliss we particularly love the quiet location so close to the vibrant town of Mauvezin and yet in such a tranquil part of rural Gascony. We loved the raised pool and lovely southerly views to the mountains as well as the vast reception room in the old barn which adds a tremendous sense of space to the property. * We won’t share your email with any third parties.